Your management software now offers a new Property Manager Rents report which shows rental income and management fees organized by property and grouped by property manager. 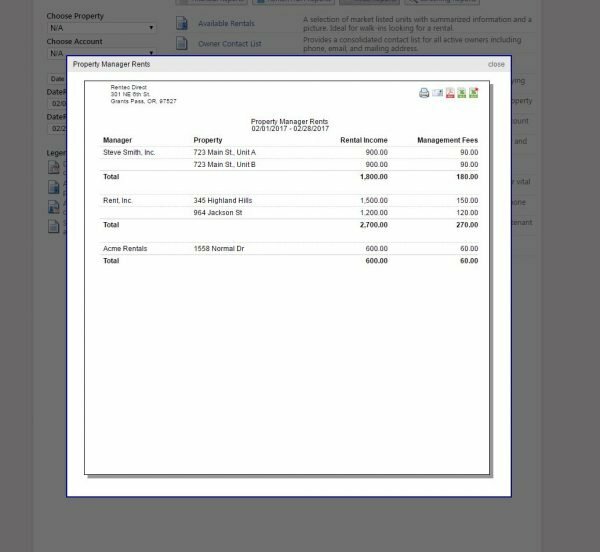 The new Property Manager Rents report from Rentec Direct gives users a list of your property managers, the units they are assigned and corresponding financials. 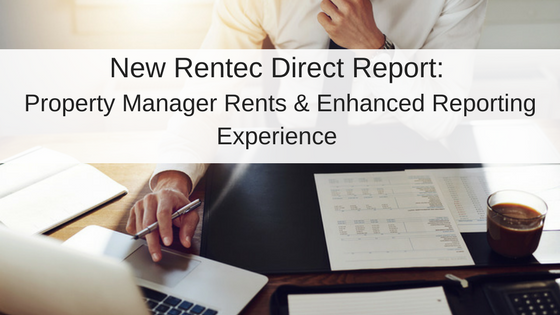 This report was created at the request of Rentec Direct clients looking for a way to easily identify which properties are assigned to each manager in an account and the related rental income and management fees. You can now easily assess the amount of rental income that has been taken in for all properties managed by a specific property manager in the Rental Income column. The Management Fees column displays a total of all expenses posted to the property(/ies) that have the expense category classified as “Management Fees”. The totals in the Management Fees column can be compared to the totals located on the Pay Property Mgr tool to help identify the amount that should be paid out to a specific property manager for the selected date-range. 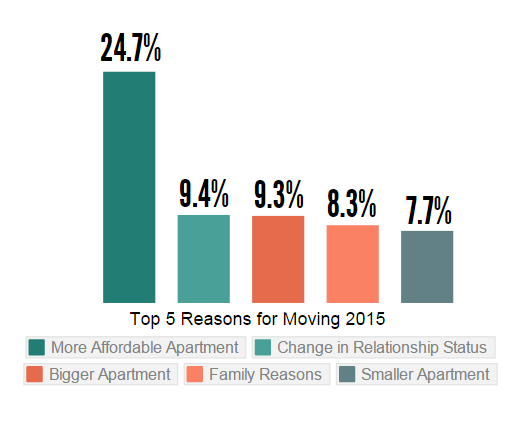 To see details of the Property Manager Rents report click the image above to enlarge. How to Create a Property Manager Rents Report? The Property Manager Rents report is date bound. To try it out, visit the Reports tab, select Misc. Reports, then a date-range and choose the ‘Property Manager Rents’ report. Like all reports in Rentec Direct, this report can be downloaded, emailed or printed directly from within the software. 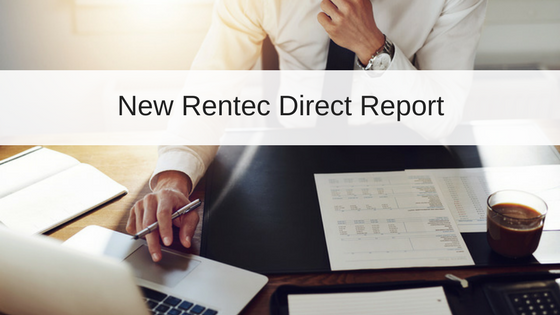 Along with the new Property Manager Rents report, additional updates were made to the Rentec Direct reporting system. The newly updated reporting system allows for faster load time of your important management reports. As your portfolio and property lists grow larger, so do your reports – which meant (prior to this recent update) that the system had to work extra hard to generate reports that were dozen of pages long, sometimes taking a little bit longer than necessary. Being in the business of saving our clients time, the extra wait time for a large report wasn’t going to cut it. So to downsize the load times for clients waiting for the software to generate extra large reports, we updated the reporting features to make the system work faster. Rentec revamped the underlying system to handle larger report sets that used to take longer to produce, reducing report generation time by 50% or better in most cases. The report delivery system was further modified to prevent browser or ISP time-outs from interrupting. These back-end software improvements will enhance your reporting tasks and make your user experience more powerful, so you can get more done throughout your workday. Michelle is a software developer for Rentec Direct. She enjoys listening to 1920s swing music and drinking Rogue Roasters coffee while she's crafting code. Thanks Michelle you are doing a great job! God bless your talent and efforts. It has helped our team! Sort closed work orders by resolution date so the newest workorders are on the top and not the bottom. Will be a hassle later as the work order amounts increase and multiply. an even BETTER ENHANCEMENT would be to put the link to the actual WO on the ledger report so they can just click and go back and forth from there. If that cant be done maybe put a report option so owners can run reports on closed wo’s for time period that will show the detailed report. Or in the statement section put links to the wo detail reports. We dont use that statement because our period is usually the 15th to the 15th. This is why we need to use the account ledger report. Itll be nice if wa can customize the statement dates too. 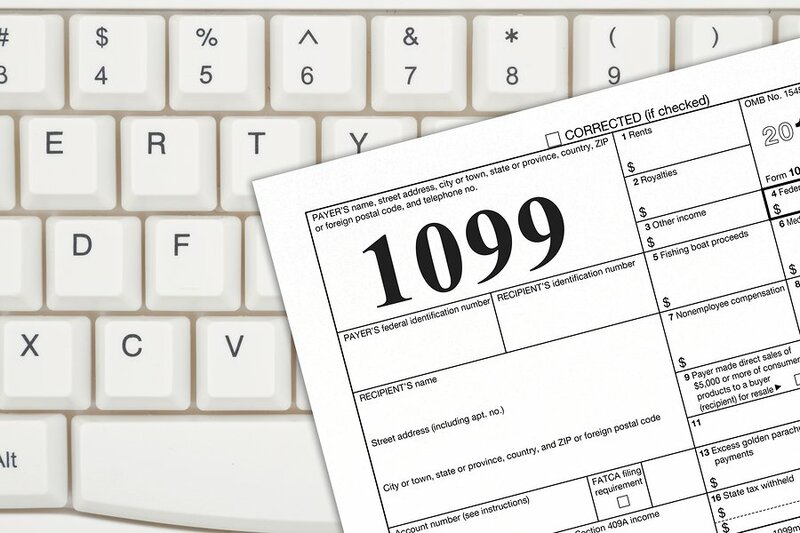 You have an awesome system and its saved us alot of time since our recent transition using the wo features 100% but this enhancements will without a doubt help all my clients tremendously and keep them off my back to explain how to find them hidden closed work orders to get to the details that i’m billing for. Thanks and hope to see more changes.